To make the harissa paste, place the roasted bell pepper, olive oil, lemon juice, chilli paste, salt, cumin, coriander and garlic in a blender or a food processor. Process until smooth, then place in a large bowl and set aside. Heat a large skillet over medium-high heat (by fully opening the SuperSaver air regulator). Add olive oil and swirl to coat. Sprinkle pork with salt and add to pan; cook for 9 minutes each side, browning all sides. Add pork to the harissa paste, turning to coat. Return the pork back on the pan; brush with remaining harissa and cook for 5 more minutes, or until cooked through. Remove from heat, and let rest for 5 minutes before slicing. While the pork is resting, make the yoghurt sauce by combining yoghurt, mint, lemon juice and cumin in a bowl. Cover and set aside. 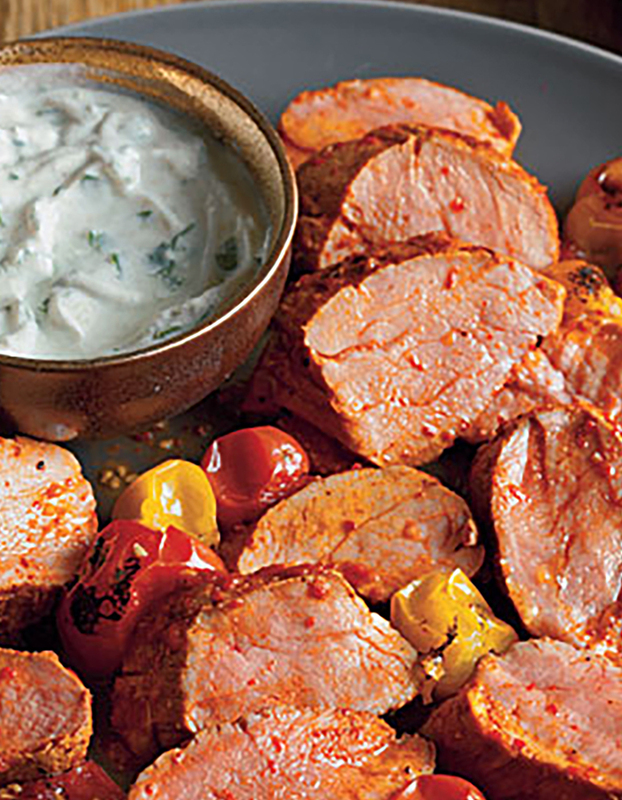 Slice pork and serve with yoghurt sauce to your family and see them enjoy and want more!